As Christians we are all seeking to grow in our understanding of Gods love and purpose for us. Studying readings from the Bible is a great place to start. A part of worship in which the pastor proclaims the Word of God, based on the Word written in the Bible and applying it to the worshipping community as appropriate. A number of members at Christ Church follow a plan of Bible readings with the aim of reading the Bible over a one year period. For details of the current month follow this link or look at the Blog menu. Christ Church organises a number of home groups that meet every two weeks, some in the evenings and some in the daytime. They give an opportunity to meet with other Christians, to learn about our faith, to pray together and to share lifes experiences with each other. If you would like to join a home group please contact Paul for details. Guests do Alpha for a wide variety of reasons – some want to investigate whether God exists; others are concerned about what happens after death. Some people have particular questions that they would like to discuss; others want to understand other peoples’ beliefs or would like to explore what the purpose of life is. Many guests have never been to church, others may have attended church occasionally but feel they have never really understood the basics of the Christian faith. 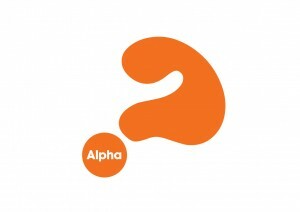 If you would like to attend the next Alpha course at Christ Church please contact the Rector. On Sunday evenings in June 2013, we met to hear 5 talks from David Parker entitled “By the gate called Beautiful” based around Acts 3:1-16. The evenings started with a time of worship followed by the talk and then a chance for group discussion. In the Spring of 2012, we met to hear some talks by Kenny Borthwick entitled “Everything you need to know to impact the world”. In John 17 we overhear Jesus’ last prayer. Nothing is left un-prayed that needed to be prayed for the Church to be faithful and fruitful. Each session focused on what we need to know to impact the world and bring glory to the Father. On five Sunday evenings in Spring 2011 we met Coffee Bar style to hear and discuss the coming of Joshua into the promised land. 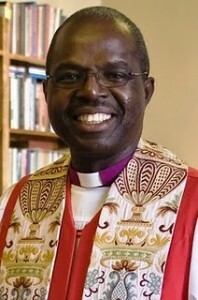 The challenging and thought provoking talks were from a DVD series by Rt Rev Henry Orombi Achbishop of Uganda followed by discussion groups lead by Rev Paul Norrington. In Autumn 2010 we had a series of 11 Sunday evening coffee bar style teaching workshops with DVD contenet from J.John. J.John is a creative Christian speaker with an appeal that transcends gender, age, race, culture and occupation. His much-loved art of storytelling helps people to discover spiritual meaning in a way that makes sense of everyday life. His just10 series is based on the Ten Commandments, designed to equip local churches to communicate the relevance of God’s laws of love in a way which people can relate to today. Many who attended found this series to be an enjoyable and educational re-examination of the Ten Commandments. 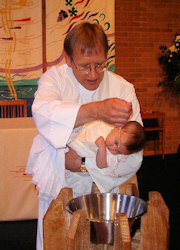 If you are thinking of having a Baptism or Thanksgiving to celebrate the birth of a child we would be happy to explain the options to you and to help you plan with us the appropriate one for you. For more information please see the Baptism/Thanksgiving page.